Windermere Chief Economist Matthew Gardner knows affordability and housing supply are still major issues in Seattle and other hot housing markets across the country. But are we in a housing bubble? Gardner says he doesn’t see anything in the numbers to be afraid of. Gardner presented a data-packed economic and housing forecast to a sold-out room of REALTORS® and other industry professionals Thursday morning at the Seattle King County REALTORS® Young Professionals Network (YPN)’s annual The Edge: A Networking Breakfast. 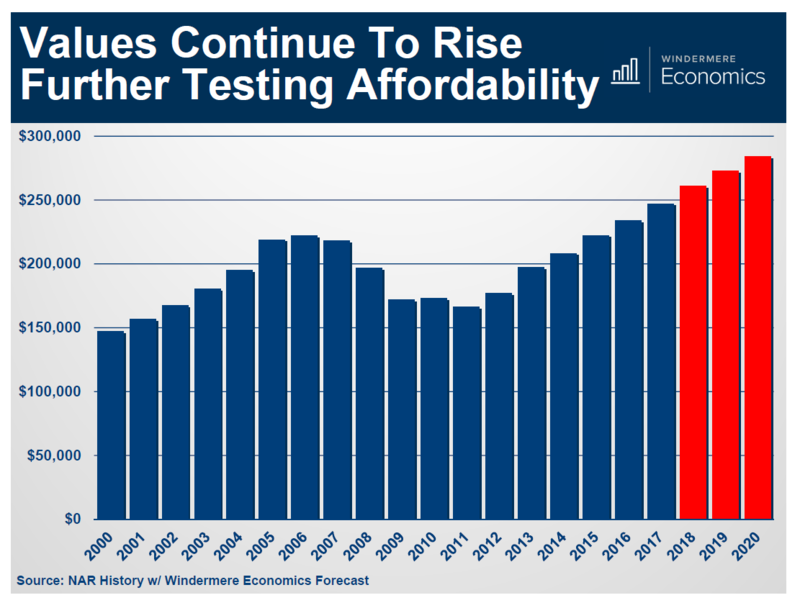 We’re not in a housing bubble, Gardner told the crowd, because lenders aren’t giving out mortgages to anyone who wants one like before the crash. “Buyers today are overqualified,” said Gardner. “They’re putting down larger down payments, and they’re not defaulting on their mortgages.” Yes, he said, some markets are worrisome. But key factors in the crash – overbuilding, unqualified buyers, and lack of demand – aren’t there. In Seattle, homeownership is trending back to normal after the frenzy that followed the housing collapse. The city is only a couple of percentage points off of pre-recession homeownership rates, in part because younger buyers are entering the market. “Millennials grew up. And they are buying homes in Seattle,” Gardner said. 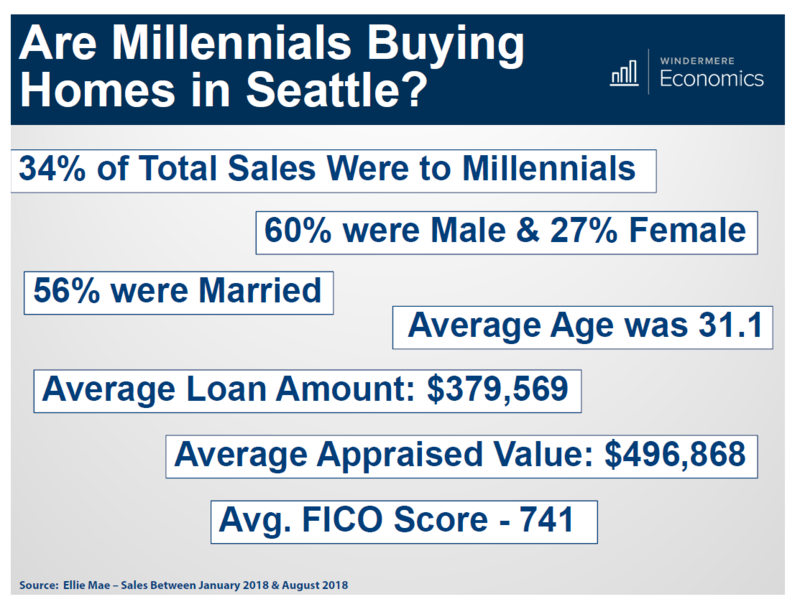 Despite Seattle’s affordability issues, thirty-four percent of total sales in Seattle from January to August of this year were to millennial buyers. Millennials want to own, with seventy percent saying that owning a home will be the most astute financial decision they will ever make. Meanwhile, older homeowners want to downsize but also don’t have affordable options available to them. Instead, they’re staying put, slowing down turnover and further restricting our tight supply which in turn exacerbates affordability. Still, Gardner says 2019 will see continued home price growth. Just expect it to moderate from the double-digit jumps we’re used to. And that’s totally normal, Gardner said.